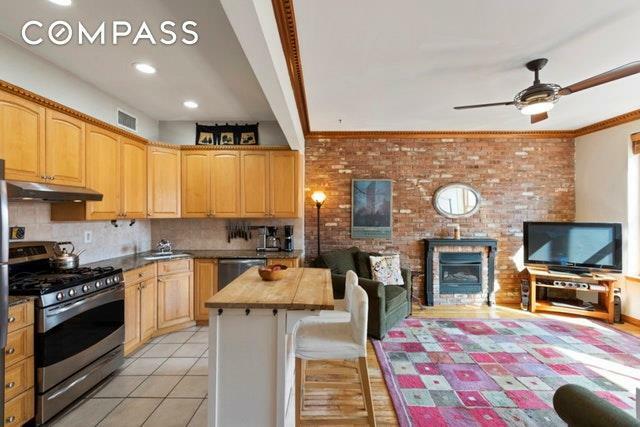 430 Waverly apartment #2 is the first resale to hit the market in this 3 unit, brick condo building in the historic district of Clinton Hill. 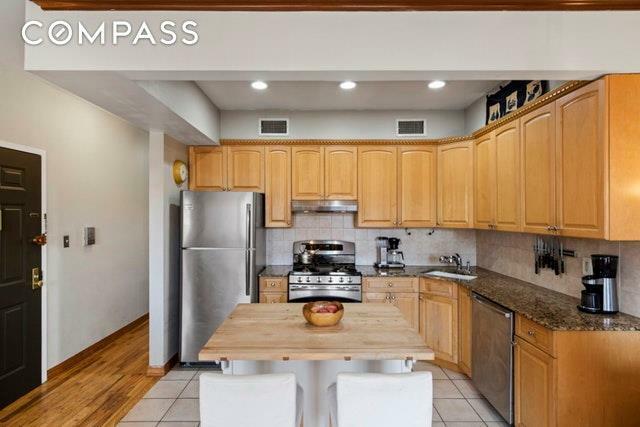 Situated on Waverly between Greene & Gates Avenues, less than two blocks in either direction to the G Train and A,C Trains at the Clinton-Washington Avenue Stations.This 3 bed 2 bath home spans the entire 2nd floor, measuring 1067 square feet and offers central heat and air as well as beautiful hardwood floors throughout. The living room measures 14'3" x 14' and opens up to the kitchen making it a great for entertaining . 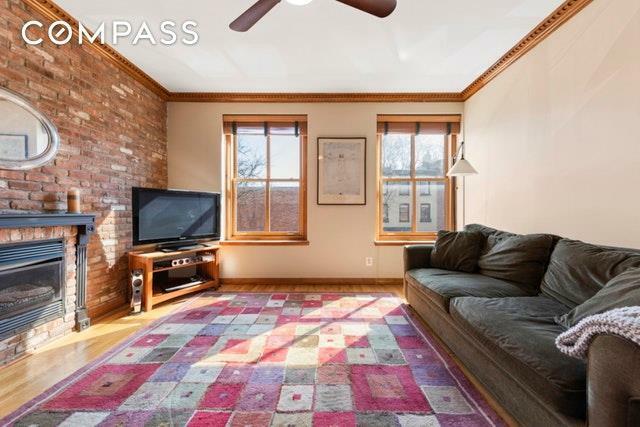 There is Eastern exposure providing fantastic morning light and a fully functioning gas burning fireplace and exposed brick wall. The kitchen has plenty of counter and cabinet space plus stainless steel refrigerator by Samsung and dishwasher by Bosch. The Master Bedroom measures 14'5" x 10'3" with a huge walk-in closet and on-suite bath. 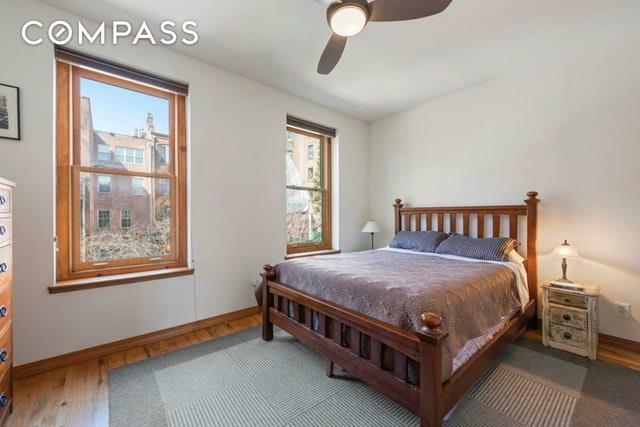 The other bedrooms each include a good size closet and offer Western and Eastern exposures. The building is self managed with good financials and low common charges. There is laundry in the basement along with a private storage locker included with this unit. Listing courtesy of Michael Breen of Compass.